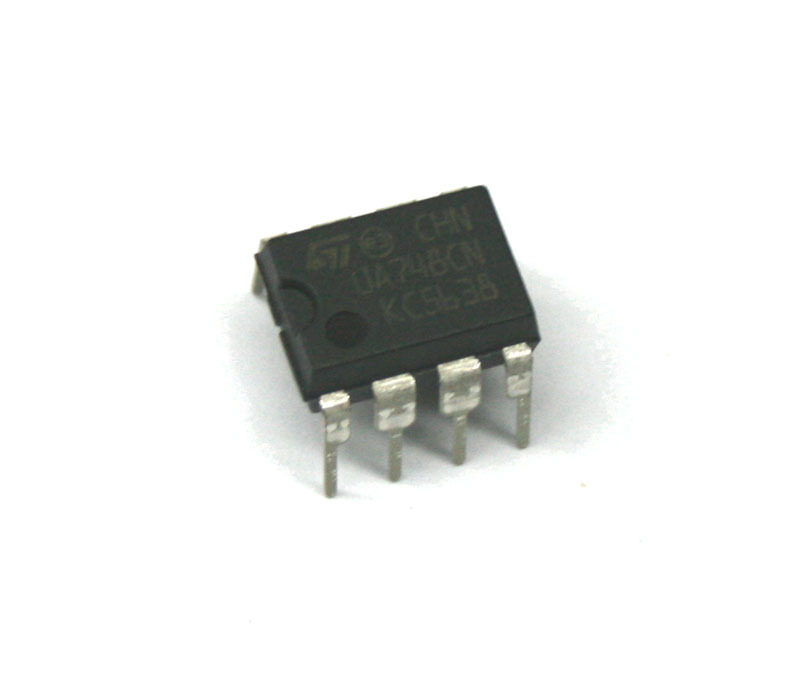 IC, 748CN op amp. This is the 8-pin DIP version of this chip. A 14-pin 748 was also made (and used in the Arp 2600), and this 8-pin chip can be used in its place. The pin-out is identical, with pin 1 of the 8-pin chip equivalent to pin 3 of the 14-pin.